Just regular folks. 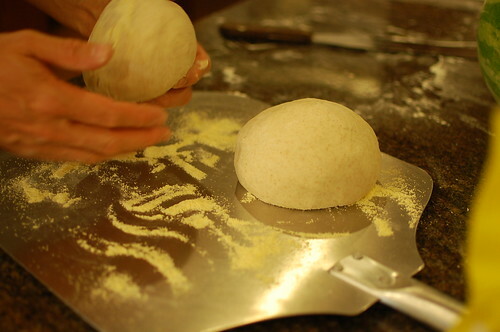 : Sourdough bread. A friend of mine has recently reported success making his own sourdough bread and I have been inspired! 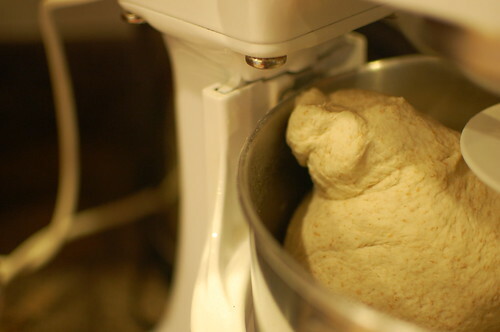 Making sourdough bread means making your own sourdough starter and collecting native yeast from the ambient air. 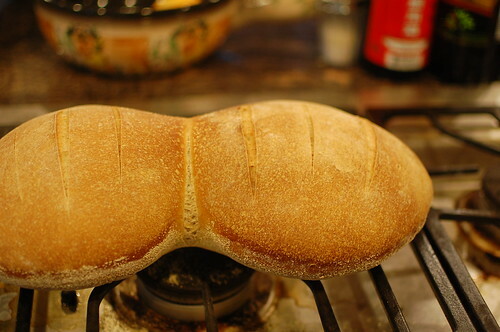 This is why they call San Francisco sourdough bread "San Francisco"; because the yeast they use is from the SF air itself. 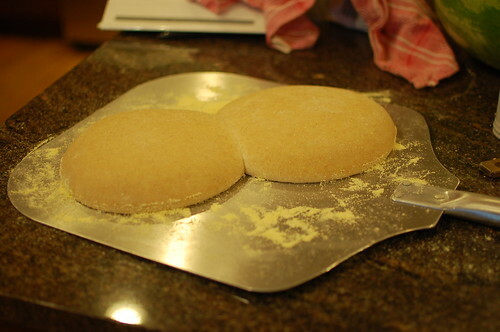 The regional differences in the yeast means that the bread should taste different from different places. 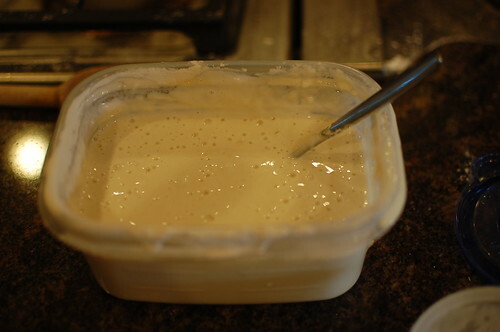 My sourdough starter; the bubbles comes from the yeast. After rising, they spread more sideways than I expected. The sourdough did turn out a bit dense, more like a bagel than like what I think of as sourdough. I'll have to try again. Jeremy mentioned that it is a poor poor time to start a bread baking habit as it is 85 degrees outside and turning on the oven is just not prudent.